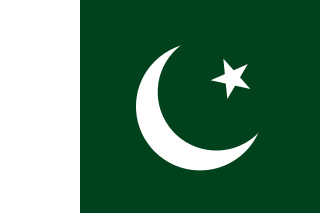 Pakistan–United States relations refers to the bilateral relationship between the Islamic Republic of Pakistan and the United States of America. On 20 October 1947, two months and six days after Pakistan's independence, the United States established relations with Pakistan, making it amongst the first nations to establish relations with the new state. Pakistan allied itself with the U.S. during the Cold war era against the Soviet Union, and was an integral player in the CENTO and SEATO. Worsening of relations following the election of the left-oriented Pakistan Peoples Party under Zulfikar Ali Bhutto, relations quickly improved and deepened during Operation Cyclone in the 1980s, which was directed against Soviet expansion in Central Asia and South Asia, by funding and training Muslim mujahideen in Afghanistan to combat the Soviet Union. Relations once again soured after the collapse of the Soviet Union, when the United States approved sanctions against Pakistan by passing the Pressler amendment, which was enacted against Pakistan for its nuclear weapons program, which was initiated after the war with India in 1971 and accelerated after India detonated a nuclear bomb in 1974. Pakistan once again assumed an important role in American geopolitical interests in the region following the September 11 attacks, and the subsequent War on Terror. Relations were strengthened as the United States named Pakistan a major non-NATO ally in 2002—which allowed for the release of over $25 billion of aid to Pakistan. American recovery efforts following the 2005 Kashmir earthquake were widely appreciated by the Pakistani public. The Quetta Shura is a militant organization which is composed of the leaders of the Afghan Taliban, and believed to be based, since about 2001, within the city of Quetta in the Balochistan province of Pakistan. The Shura was formed at a time after the Islamic Emirate of Afghanistan was toppled as part of events occurring during late 2001, the senior leadership at the time, including Mullah Mohammed Omar, proceeding to escape into Pakistan. In February 2010, several of the key members of the Quetta Shura, who were dispersed within a variety of cities and towns of Pakistan, were detained by Pakistan's Inter-Services Intelligence (ISI). Pakistan proceeded to agree to repatriate these individuals to Afghanistan, if they were found to have not committed crimes within the boundaries of the Pakistani nation. Raymond Allen Davis is a former United States Army soldier, private security firm employee, and contractor with the Central Intelligence Agency (CIA). On January 27, 2011, Davis killed two reportedly armed men in Lahore, Punjab, Pakistan. Although the U.S. government contended that he was protected by diplomatic immunity because of his employment with the U.S. Consulate in Lahore, Davis was jailed and criminally charged by Pakistani authorities with double murder and the illegal possession of a firearm. A car coming to aid Davis killed a third Pakistani man, Ibadur Rahman, in a "hit and run" while speeding on the wrong side of the road. On March 16, 2011, Davis was released after the families of the two killed men were paid $2.4 million in diyya. Judges then acquitted him on all charges and Davis immediately departed Pakistan. Osama bin Laden, the founder and first leader of the Islamist group Al-Qaeda, was killed in Pakistan on May 2, 2011, shortly after 1:00 am PKT by United States Navy SEALs of the U.S. Naval Special Warfare Development Group. The operation, code-named Operation Neptune Spear, was carried out in a CIA-led operation with Joint Special Operations Command, commonly known as JSOC, coordinating the Special Mission Units involved in the raid. In addition to SEAL Team Six, participating units under JSOC included the 160th Special Operations Aviation Regiment (Airborne)—also known as "Night Stalkers"—and operators from the CIA's Special Activities Division, which recruits heavily from former JSOC Special Mission Units. The operation ended a nearly 10-year search for bin Laden, following his role in the September 11 attacks on the United States. Military relations between Pakistan and the United States have been present since the two established diplomatic relations in 1947. The United States' military relations with Pakistan have been consistently close and it has sometimes been referred to as "America's most allied ally in Asia", reflecting shared interests in security and stability in South Asia. Prime minister Liaquat Ali Khan meeting President Harry Truman. Following Pakistan's independence from the British Indian Empire, the nascent state struggled to position itself as a non-aligned member of the international community. Pakistan's pro-communist forces commanded considerable support in East Pakistan, while in West Pakistan, the pro-Soviet Pakistan Socialist Party remained largely marginalized. The capitalist and pro-American Pakistan Muslim League dominated much of West Pakistan's political landscape, particularly in the prosperous region of Punjab, while its base of support in East Pakistan was far more modest. The Communist Party of Pakistan is a communist party in Pakistan. 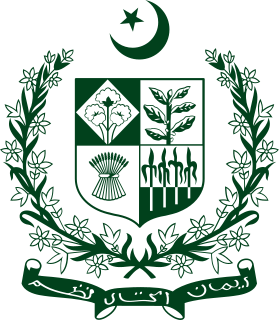 Foreign Service of Pakistan was formally created in October 1952, after having been an improvised organization since the creation and independence of Pakistan in 1947. Its old name was Foreign Service of India working within the Indian Civil Service before 1947. After 1947, its recruitment and hiring of employees is done through the larger organization Civil Service of Pakistan. The state visit of Liaquat Ali Khan to the United States from 3 May to 26 May 1950, was an official state visit paid by the first Prime Minister of Pakistan, Liaquat Ali Khan, accompanied by the First Lady of Pakistan, Ra'ana Liaquat Ali Khan. Ayub Khan standing in a motorcade with American President John F. Kennedy. During the dictatorship of Ayub Khan, Pakistan enjoyed a close relationship with the United States. Ayub Khan was strongly pro-American, and on a visit the United States in 1954, before Khan was head of state, he famously told American Brigadier-General Henry A. Byroade "I didn’t come here to look at barracks. Our army can be your army if you want us. But let’s make a decision". His view of the United States had remained positive by the time he seized power. In fact, during the 1960s, Pakistan's population was generally pro-American and held a similarly positive view of the United States. President Ayub Khan and Jaqueline Kennedy with Sardar, a Seal brown horse gifted by Khan to Jackie Kennedy, 1962. President Richard Nixon and Henry Kissinger took advantage of Pakistan's close relationship with People Republic of China to initiate secret contacts that resulted in Henry Kissinger’s secret visit to China in July 1971 after visiting Pakistan. These contacts resulted in the 1972 Nixon visit to China, and the subsequent normalizing of relations between the United States and the People's Republic of China. President of Pakistan Yahya Khan with United States President Richard Nixon, 1970. The United States secretly encouraged the shipment of military equipment from the Shah's Iran, Turkey, and Jordan to Pakistan, and reimbursed those countries for their shipments,  despite Congressional objections. The United States, however, also threatened to cut-off aid to pressure Pakistan to end hostilities, but did not wish for India to dominate the new political landscape in South Asia either. In 1972, Zulfi Bhutto gifted a carved ivory set of chess to the United States President Gerald Ford. Bhutto meeting with Nixon in 1972. In 1974, with India carried out the test of nuclear weapons near the Pakistan's eastern border, codename Smiling Buddha , Bhutto sought the United States to impose economic sanctions in India. Though it was unsuccessful approach, in a meeting of Pakistan's Ambassador to the United States with Secretary of State Henry Kissinger, Kissinger told Pakistan's ambassador to Washington that the test is "a fait accompli and that Pakistan would have to learn to live with it", although he was aware this is a "little rough" on the Pakistanis. In the 1970s, the ties were further severed with Bhutto as Bhutto had continued to administer the research on weapons, and in 1976, in a meeting with Bhutto and Kissinger, Kissinger had told Bhutto, "that if you [Bhutto] do not cancel, modify or postpone the Reprocessing Plant Agreement, we will make a horrible example from you". The meeting was ended by Bhutto as he had replied: "For my country's sake, for the sake of people of Pakistan, I did not succumb to that black-mailing and threats". After the meeting, Bhutto intensified his nationalization and industrialization policies, as well as aggressively taking steps to spur scientific research on atomic weapons and the atomic bomb project. Bhutto authorized the construction of Chagai weapon-testing laboratories, whilst the United States opposed the action and predicted that it will lead to a massive and destructive war between India and Pakistan in the future. The atomic bomb project became fully mature in 1978, and a first cold test was conducted in 1983 (see Kirana-I ). In 1979, a group of Pakistani students burned the American embassy in Islamabad to the ground killing two Americans as a reaction to Grand Mosque Seizure, citing the U.S. involvement. Crile and Charlie Wilson meeting with ISI officers, c. The 1980s. After the removal and death of Bhutto, the Pakistan's ties with the United States were better and improved. On December 24, 1979, the Soviet 40th Army crossed borders, rolling into Afghanistan, President Carter issued his doctrine (see Carter Doctrine). The silent features offers the creation of the Rapid Deployment Force (RDF), increasing the deployment of United States Naval Forces Central Command (NAVCENT), a collective security framework in the region and a commitment to the defence of Pakistan by transfer of significant amount of weapons and Monetarism. Following the Soviet invasion of Afghanistan, ISI and CIA ran multibillion-dollar worth Operation Cyclone to thwart the communist regime as well as defeating Soviets in Afghanistan. Throughout the military regime of General Zia-ul-Haq, the ties and relations were promoted at its maximum point, and the United States had given billion dollars of economic and military aid to Pakistan. The Soviet invasion of Afghanistan in December 1979 highlighted the common interest of Pakistan and the United States in opposing the Soviet Union. In 1981, Pakistan and the United States agreed on a $3.2 billion military and economic assistance program aimed at helping Pakistan deal with the heightened threat to security in the region and its economic development needs. With US assistance, in the largest covert operation in history, Pakistan armed and supplied anti-Soviet fighters in Afghanistan. Initially, Carter offered Pakistan $325 million in aid over three years; Zia rejected this as "peanuts." Carter also signed the finding in 1980 that allowed less than $50 million a year to go to the Mujahideen. All attempts were rebuffed, Zia shrewdly played his cards knowing that Carter was on his way out and he may get a better deal from the incoming Reagan. After Ronald Reagan came to office, defeating Carter for the US Presidency in 1980, all this changed, due to President Reagan's new priorities and the unlikely and remarkably effective effort by Congressman Charles Wilson (D-TX), aided by Joanne Herring, and CIA Afghan Desk Chief Gust Avrakotos to increase the funding for Operation Cyclone. Aid to the Afghan resistance, and to Pakistan, increased substantially, finally reaching $1 billion. The United States, faced with a rival superpower looking as if it were to create another Communist bloc, now engaged Zia in fighting a US-aided war by proxy in Afghanistan against the Soviets. After the restoration of democracy after the disastrous and mysterious death of Zia and U.S. Ambassador in an aviation crash, relations deteriorated quickly with upcoming prime ministers Benazir Bhutto and Nawaz Sharif. The United States took a tough stand on Pakistan's nuclear development, passing the Pressler amendment, while significantly improving the relations with India. Both Benazir and Nawaz Sharif also asked the United States to take steps to stop the Indian nuclear program, feeling that United States was not doing enough to address what Pakistan saw as an existential threat. Pakistan found itself in a state of extremely high insecurity as tensions mounted with India and Afghanistan's infighting continued. Pakistan's alliance with the U.S. was strained due to factors such as its support for the Taliban and public distancing of the Pakistani government from the U.S.
Benazir Bhutto paying state visit to the U.S., 1989. Nawaz Sharif meeting with William Cohen, Secretary of Defense, 1998. The leadership of both nations meeting in a high-level state dinner in Islamabad, 2006. In March 1986, the two countries agreed on a second multi-year (FY 1988–93) $4-billion economic development and security assistance program. On October 1, 1990, however, the United States suspended all military assistance and new economic aid to Pakistan under the Pressler Amendment, which required that the President certify annually that Pakistan "does not possess a nuclear explosive device." India's decision to conduct nuclear tests in May 1998 and Pakistan's response set back US relations in the region, which had seen renewed US interest during the second Clinton Administration. A presidential visit scheduled for the first quarter of 1998 was postponed and, under the Glenn Amendment, sanctions restricted the provision of credits, military sales, economic assistance, and loans to the government. In the 1990s, U.S. and the Missile Technology Control Regime put restrictions on Pakistan's space program in amid fear that the country's alleged covert development of missile programs. The U.S. began cooperation with Pakistan in peaceful space technology in the 1960s after establishing the Sonmiani Terminal in 1961, constructing an airfield and launch pad. In 1962, the Space Research Commission launched the first solid-fuel rocket, Rehbar-I , built with close interaction with the U.S. NASA. Launching of the rocket made Pakistan the first South Asian country and tenth country in the world to carrying out the launch of the rocket. During the 1962 and 1972, approximately 200 rockets were fired from the Sonmiani, but this cooperation waned after 1972. During the 1990s and early 2000s, U.S. tightened its embargo and construction on Pakistan's space development, and in 1998, putting restrictions and sanctions on premier astronautics research department, DESTO, although the sanctions were uplifted in 2001 by the Bush Administration. Pervez Musharraf with President Bush. In 2003, the US officially forgave US$1 billion in Pakistani debt in a ceremony in Pakistan in turn for Pakistan joining the US 'war on terror'. "Today's signing represents a promise kept and another milestone in our expanding partnership," US Ambassador Nancy Powell said in a statement, "The forgiveness of $1 billion in bilateral debt is just one piece of a multifaceted, multi-billion dollar assistance package." The new relationship between the United States and Pakistan is not just about September 11,' Powell said. "It is about the rebirth of a long-term partnership between our two countries." However, Pakistan support of the U.S. and its war has angered many Pakistanis that do not support it. In return for their support, Pakistan had sanctions lifted and has received about $10 billion in U.S. aid since 2001, primarily military. In June 2004, President George W. Bush designated Pakistan as a major non-NATO ally,  making it eligible, among other things, to purchase advanced American military technology. A key campaign argument of US President Barack Obama was that the US had made the mistake of "putting all our eggs in one basket" in the form of General Musharraf. [ citation needed ] Musharraf was eventually forced out of office under the threat of impeachment, after years of political protests by lawyers, civilians and other political parties in Pakistan. With Obama coming into office, the U.S. is expected to triple non-military aid to Pakistan to $1.5 billion per year over 10 years, and to tie military aid to progress in the fight against militants. The purpose of the aid is to help strengthen the relatively new democratic government led by President Zardari and to help strengthen civil institutions and the general economy in Pakistan and to put in place an aid program that is broader in scope than just supporting Pakistan's military. In the November 2008 Mumbai Attacks, the United States informed Pakistan that it expected full cooperation in the hunt for the plotters of the attacks. Present US-Pakistan relations are a case study on the difficulties of diplomacy and policy-making in a multipolar world. Pakistan has important geopolitical significance for both India and China, making unilateral action almost impossible for the US. At the same time, Pakistan remains a key player in American efforts in Afghanistan. The two countries are trying to build a strategic partnership, but there remains a significant trust deficit, which continues to hinder successful cooperation in combating common threats. Secretary of State Hillary Clinton attending meeting with then Prime Minister Raza Gillani during an October 2009 visit to Islamabad. Circular diagram showing 96% of U.S. funding to Pakistan in military efforts and 1% in development efforts. In the aftermath of a thwarted bombing attempt on a 2009 Northwest Airlines flight, the U.S. Transportation Security Administration (TSA) issued a new set of screening guidelines that includes pat-downs for passengers from countries of interest, which includes Pakistan. In a sign of widening fissures between the two allies, on January 21, Pakistan declined a request by the United States to launch new offensives on militants in 2010. Pakistan say it "can't launch any new offensives against militants for six months to a year because it wants to 'stabilize' previous gains made. However, the US praises Pakistan's military effort against the militants. Furthermore Pakistan president, in meeting with the U.S. delegation, had said Pakistan "had suffered a... loss of over 35 billion dollars during the last eight years as a result of the fight against militancy." But the President also called for "greater Pak-U.S. cooperation". U.S. President Obama and Prime Minister Nawaz Sharif. The CIA had long suspected Osama Bin Laden of hiding in Pakistan. India and US have also accused Pakistan of giving safe-haven to the Taliban. However, Pakistan has repeatedly denied these accusations. In May 2011, Pakistani journalist Saleem Shahzad was killed and in September, The New Yorker reported that the order to kill Shahzad came from an officer on General Kayani's staff. In July Admiral Mullen alleged that Shahzad's killing had been "sanctioned by the government" of Pakistan,  but the ISI denied any involvement in the Shahzad murder. American Chairman of Joint Chiefs Peter Pace seen saluting the Pakistan's inter-services in Islamabad. Since some in the U.S. government claimed that they had caught bin Laden without Pakistani help, numerous allegations were made that the government of Pakistan had shielded bin Laden. 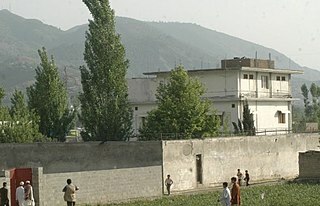 Critics cited the very close proximity of bin Laden's heavily fortified compound to the Pakistan Military Academy, that the US chose not to notify Pakistani authorities before the operation and the double standards of Pakistan regarding the perpetrators of the 2008 Mumbai attacks. US government files, leaked by WikiLeaks, disclosed that American diplomats had been told that Pakistani security services were tipping off bin Laden every time US forces approached. Pakistan's Inter-Services Intelligence (ISI), also helped smuggle al-Qaeda militants into Afghanistan to fight NATO troops. In 2015, US handed over MRAPs to Pakistan. Prime Minister Liaquat Ali Khan May 3–5, 1950 Official visit. Afterward visited New York City, Chicago, San Francisco, Los Angeles, Houston, New Orleans (Louisiana), Schenectady (New York), and Boston (Massachusetts). Departed U.S. May 30. Governor General Malik Ghulam Muhammad November 8–13, 1953 Met with President Eisenhower after obtaining medical treatment in Boston. P.M Muhammad Ali Bogra October 14–21, 1954 Official guest. Huseyn Shaheed Suhrawardy July 10–13, 1957 Official visit. Afterward visited Colorado Springs (Colorado), the Grand Canyon (Arizona), Los Angeles, San Francisco, Salt Lake City (Utah), Omaha (Nebraska), Detroit (Michigan), and New York City. Departed U.S. July 27. Field Marshal Ayub Khan July 11–14, 1961 State visit. Addressed U.S. Congress July 12. Afterward visited New York City, Gettysburg (Pennsylvania), San Antonio, Austin, and the LBJ Ranch (Texas). Departed U.S. July 18. Field Marshal Ayub Khan September 24, 1962 Informal meeting at Newport (Rhode Island). Afterward visited Washington and New York City. Departed U.S. September 27. Field Marshal Ayub Khan December 14–16, 1965 State visit. Arrived in U.S. December 12; visited New York City. General Yahya Khan October 24–25, 1970 Attended White House dinner on 25th Anniversary of the U.N; met privately with Richard Nixon on October 25. Zulfikar Ali Bhutto September 18–20, 1973 Official visit. In U.S. September 17–24; visited Williamsburg, San Francisco, and New York City. Zulfikar Ali Bhutto February 4–7, 1975 Official visit. Afterward visited New York City. Departed U.S. February 8. Muhammad Zia-ul-Haq October 3, 1980 Private visit while attending U.N. General Assembly session. Muhammad Zia-ul-Haq December 6–9, 1982 State visit; visited New York City, Houston, Sacramento, and San Francisco. Departed U.S. December 14. Muhammad Zia-ul-Haq October 23, 1985 Met with President Reagan in New York City at reception and luncheon at the U.N.
Muhammad Khan Junejo July 15–18, 1986 Official Visit; visited Orlando (Fla.) and New York City. Departed U.S. July 22. Benazir Bhutto June 5–7, 1989 Official Visit; visited Boston and New York City. Departed U.S. June 10. Farooq Leghari May 23–27, 1994 Arrived in U.S. May 21; departed June 1. Also visited Rochester, NY. Met with President Bill Clinton during a private visit. Later visited New York City. Benazir Bhutto April 9–11, 1995 Official working visit. Arrived in the U.S. April 5; also visited New York City and Los Angeles. Departed the U.S. April 14. Nawaz Sharif September 22, 1997 Met with President Bill Clinton at the UN General Assembly in New York City. Nawaz Sharif September 21, 1998 Met with President Clinton at the U.N. General Assembly in New York City. Nawaz Sharif December 1, 1998 Official working visit. Nawaz Sharif July 4–5, 1999 Discussed the Kashmir conflict with President Bill Clinton during a private visit. President Pervez Musharraf November 10, 2001 Met with George W. Bush at the UN General Assembly in New York City. President Pervez Musharraf February 12–14, 2002 Official Working Visit. President Pervez Musharraf September 12, 2002 Met with President Bush at the UN General Assembly in New York City. President Pervez Musharraf June 23–27, 2003 Working visit. Met with President Bush in Washington, DC and Camp David. Arrived in Boston June 20; later visited Los Angeles. President Pervez Musharraf September 24, 2003 Met with President Bush at the UN General Assembly in New York City. President Pervez Musharraf September 21–22, 2004 Met with President Bush at the UN General Assembly in New York City. President Pervez Musharraf December 3–4, 2004 Working visit. Prime Minister Shaukat Aziz January 22–24, 2006 Working visit. Arrived in the U.S. January 19; also visited New York City and Boston. Pervez Musharraf September 20–22, 2006 Working visit. Pervez Musharraf September 27, 2006 Also met with Afghan President Hamid Karzai on September 27. Yousaf Raza Gillani July 27–30, 2008 Working visit. Asif Ali Zardari September 23, 2008 Met with President Bush at the UN General Assembly in New York City. Yousaf Raza Gillani April 11–13, 2010 Attended the Nuclear Security Summit. Asif Ali Zardari January 14, 2011 attended Richard Holbrooke's memorial service. Asif Ali Zardari May 21, 2012 Met with President Obama at the NATO summit in Chicago. Nawaz Sharif October 20–23, 2013 Met with President Obama at the Oval Office. Dwight D. Eisenhower December 7–9, 1959 Informal visit to Karachi; met with President Ayub Khan. Lyndon B. Johnson December 23, 1967 Visit to Karachi; met with President Ayub Khan. Richard Nixon August 1–2, 1969 State visit; met with President Yahya Khan. Bill Clinton March 25, 2000 Met with Pervez Musharraf; delivered radio address. George W. Bush March 3–4, 2006 visit to Islamabad, met with Pervez Musharraf. On 5 January 2018, US suspended about $2 billion in security aid to Pakistan for failing to clamp down on the Afghan Taliban and the Haqqani Network terror groups and dismantle their safe havens, a White House official said. The freezing of all security assistance to Pakistan comes after President Donald Trump in a New Year's Day tweet accused the country of giving nothing to the US but "lies and deceit" and providing "safe haven" to terrorists in return for $33 billion aid over the last .. According to the Washington Post , American culture has heavily penetrated Pakistan. In the past decade, the introduction of US cinema, US fashion and US Cuisine have proliferated Pakistan. In particular, the introduction of American apple pies, US-style diners similar to the Sonic Drive-In on Pakistani motorways, Hot dog stands on the streets of major cities, Fast food restaurants serving Chicago-style pizza as well as New York-style pizza with the option of US style home deliveries. Al-Qaeda is a militant Sunni Islamist multi-national organization founded in 1988 by Osama bin Laden, Abdullah Azzam, and several other Arab volunteers during the Soviet invasion of Afghanistan. Zulfikar Ali Bhutto was a Pakistani politician who served as the 9th Prime Minister of Pakistan from 1973 to 1977, and prior to that as the 4th President of Pakistan from 1971 to 1973. He was also the founder of the Pakistan People's Party (PPP) and served as its chairman until his execution in 1979. The Inter-Services Intelligence is the premier intelligence agency of Pakistan, operationally responsible for gathering, processing, and analyzing national security information from around the world. As one of the principal members of the Pakistani intelligence community, the ISI reports to the Director-General and is primarily focused on providing intelligence for the Government of Pakistan. The military history of Pakistan encompasses an immense panorama of conflicts and struggles extending for more than 2,000 years across areas constituting modern Pakistan and greater South Asia. The history of the modern-day military of Pakistan began in 1947, when Pakistan achieved its independence as a modern nation-state. Robin Lynn Raphel is an American former diplomat, ambassador, CIA analyst and an expert on Pakistan affairs. Until November 2, 2014, she served as coordinator for non-military assistance to Pakistan, carrying on the work of the late Richard Holbrooke, whose AfPak team she joined in 2009. In 1993, she was appointed by President Bill Clinton as the nation's first Assistant Secretary of State for South and Central Asian Affairs, a newly created position at the time designed to assist the U.S. government in managing an increasingly complex region. She later served as U.S. Ambassador to Tunisia from November 7, 1997 to August 6, 2000, during Clinton's second term in office. Osama bin Laden, the founder and former leader of al-Qaeda, went into hiding following the start of the War in Afghanistan in order to avoid capture by the United States and/or its allies for his role in the September 11, 2001 attacks, and having been on the FBI Ten Most Wanted Fugitives list since 1999. After evading capture at the Battle of Tora Bora in December 2001, his whereabouts became unclear, and various rumours about his health, continued role in al-Qaeda, and location were circulated. Bin Laden also released several video and audio recordings during this time. Afghanistan–United States relations can be traced to 1921 but the first contact between the two occurred further back in the 1830s when the first recorded person from the United States was visiting Afghanistan. In the last decade, Afghan-American relations have become stronger than ever before. Afghanistan and the United States have a very strong and friendly strategic partnership. In 2012, relations became even closer when the President of the United States, Barack Obama declared Afghanistan a Major non-NATO ally. According to a 2012 BBC poll, the U.S. was the most favored country in Afghanistan. The term Afghan Arabs refers mostly to Arab and other Muslim Islamist mujahideen who came to Afghanistan during and following the Soviet–Afghan War to help fellow Muslims fight Soviets and pro-Soviet Afghans. Operation Cyclone was the code name for the United States Central Intelligence Agency (CIA) program to arm and finance the mujahideen, in Afghanistan from 1979 to 1989, prior to and during the military intervention by the USSR in support of its client, the Democratic Republic of Afghanistan. The program leaned heavily towards supporting militant Islamic groups that were favored by the regime of Muhammad Zia-ul-Haq in neighboring Pakistan, rather than other, less ideological Afghan resistance groups that had also been fighting the Marxist-oriented Democratic Republic of Afghanistan regime since before the Soviet intervention. Operation Cyclone was one of the longest and most expensive covert CIA operations ever undertaken; funding began with just over $500,000 in 1979, was increased dramatically to $20–$30 million per year in 1980 and rose to $630 million per year in 1987. Funding continued after 1989 as the mujahideen battled the forces of Mohammad Najibullah's PDPA during the civil war in Afghanistan (1989–1992). Hamza bin Osama bin Mohammed bin Awad bin Laden, better known as Hamza bin Laden, is a son of Osama bin Laden. His father, as well as his brother Khalid, were killed in the 2011 Navy SEAL raid. A commonly expressed belief states that the Central Intelligence Agency (CIA) had ties with Osama Bin Laden's al-Qaeda and its "Afghan Arab" fighters when it armed Mujahideen groups to fight the Soviet Union during the Soviet–Afghan War. Since the 1970s, the CIA has engaged in multiple operations in Afghanistan, both in terms of terrorism and otherwise. The first major operation, code named Operation Cyclone, began in 1979. It was a program to arm and finance the mujahideen fighters in Afghanistan prior to and during the military intervention by the USSR. President Reagan had seen an expansion of the Reagan doctrine, which aided anti-Soviet resistance movements. The program also supported militant Islamic groups that were favored by the regime of Muhammad Zia-ul-Haq in neighboring Pakistan, at the expense of other resistance groups that had also been fighting the Marxist-oriented Democratic Republic of Afghanistan. Operation Cyclone was one of the longest and most expensive covert CIA operations ever undertaken; costing over $20–$30 million per year in 1980, and rising to $630 million per year in 1987. Funding continued after 1989 as the mujahideen battled the forces of Mohammad Najibullah's PDPA during the civil war in Afghanistan (1989–1992). Pakistan–Russia relations or Russo-Pakistani relations refers to the bilateral, between the Islamic Republic of Pakistan and the Russian Federation. The Soviet Union and Pakistan first established the diplomatic and bilateral relations on 1 May 1948. On May 1, 2018, Pakistan celebrated the 70th Anniversary of Diplomatic Relations with Russia. Pakistan has long been accused by its neighbours India, Afghanistan, Iran and western nations like the United States and the United Kingdom of its involvement in terrorist activities in the region and beyond. Pakistan's tribal region along its border with Afghanistan has been described as a safe haven for terrorists by western media and the United States Defense Secretary. According to an analysis published by the Saban Center for Middle East Policy at Brookings Institution in 2008, Pakistan was, "with the possible exception of Iran, perhaps the world’s most active sponsor of terrorist groups. and aiding these groups that pose a direct threat to the United States. Pakistan's active participation has caused thousands of deaths in the region, all these years Pakistan has been supportive to several terrorist groups despite several stern warnings from the international community" Daniel Byman, an author, also wrote that, "Pakistan is probably 2008's most active sponsor of terrorism". Pakistan's role in the War on Terror is a widely discussed topic among policy-makers of various countries, political analysts and international delegates around the world. Pakistan has simultaneously received allegations of harbouring and aiding terrorists and commendation for its anti-terror efforts. At least 60,000 people have been killed in Pakistan due to terror attacks since the beginning of the war on terror, while the economic losses have been measured at $120 billion. Since 2001, the country has also hosted millions of Afghan refugees who fled the war in Afghanistan. The Inter-Services Intelligence (ISI) intelligence agency of Pakistan has been accused of heavily involved in covertly running military intelligence programs in Afghanistan since before the Soviet invasion of Afghanistan in 1979. The first ISI operation in Afghanistan took place in 1975. It was in "retaliation to Republic of Afghanistan's proxy war and support to the militants against Pakistan". Before 1975, ISI did not conduct any operation in Afghanistan and it was only after decade of Republic of Afghanistan's proxy war against Pakistan, support to militants and armed incursion in 1960 and 1961 in Bajaur that Pakistan was forced to retaliate. Later on, in the 1980s, the ISI in Operation Cyclone systematically coordinated the distribution of arms and financial means provided by the United States Central Intelligence Agency (CIA) to factions of the Afghan mujahideen such as the Hezb-e Islami (HeI) of Gulbuddin Hekmatyar and the forces of Ahmad Shah Massoud whose forces would later be known as the Northern Alliance. After the Soviet retreat, the different Mujahideen factions turned on each other and were unable to come to a power sharing deal which resulted in a civil war. The United States, along with the ISI and the Pakistani government of Prime Minister Benazir Bhutto became the primary source of support for Hekmatyar in his 1992–1994 bombardment campaign against the Islamic State of Afghanistan and the capital Kabul. 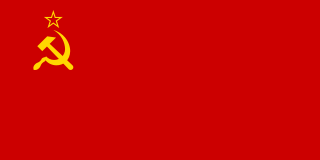 The Soviet Union–Pakistan relations refers to historical, political, international, and cultural relationships between the state of Pakistan and the Union of Soviet Socialist Republics (USSR). Establishing cultural and bilateral connections between Moscow and Karachi on May 1, 1948, the relations were succeed and predate the post-Soviet Russo-Pakistan relations (1991–present). ↑ "2014 BBC World Service poll" (PDF). ↑ "U.S.-Pakistan relations: An unhappy alliance". Los Angeles Times . May 7, 2011. ↑ "U.S-Pakistan Military Cooperation". Council on Foreign Relations. Retrieved June 26, 2008. ↑ Provost, Claire (July 15, 2011). "Sixty years of US aid to Pakistan: Get the data". The Guardian . London. Retrieved October 22, 2011. ↑ "U.S.-PAKISTAN RELATIONS". U.S. State Department. 1 2 Ardeshir Cowasjee (13 March 2011). "A recap of Soviet-Pakistan relations". Dawn Newspaper, Pakistan Institute of International Affairs (1950). Retrieved 26 February 2012. ↑ Kazmi, Muhammad Raza (2003). Liaquat Ali Khan: His Life and Work. United Kingdom: Oxford University Press, 2003. p. 354. ISBN 978-0-19-579788-6. ↑ "Timeline: History of US-Pakistan relations". Dawn. Retrieved 2015-08-04. 1 2 3 4 5 6 7 8 9 10 11 12 13 14 15 16 17 18 19 20 21 Hamid Hussain. "Tale of a love affair that never was: United States-Pakistan Defence Relations". Hamid Hussain, Defence Journal of Pakistan. Hamid Hussain, Defence Journal of Pakistan. Archived from the original on 4 March 2012. Retrieved 12 February 2012. ↑ "America Welcomes President Ayub". Gordon Wilkison Collection. Texas Archive of the Moving Image. July 1961. Retrieved 28 July 2011. 1 2 3 4 Aziz, Sartaj (2009). Between Dreams and Realities: Some Milestones in Pakistan’s History. Karachi, Pakistan: Oxford University Press. p. 408. ISBN 978-0-19-547718-4. Archived from the original on 2013-09-19. ↑ Anita Inder Singh, "The Limits of 'Super Power': The United States and South Asia" International History Review (1992) 14#1 pp. 98-108. ↑ Black, Conrad (2007), p. 751. ↑ "The Kissinger Tilt". Time. January 17, 1972. Retrieved September 30, 2008. ↑ "World: Pakistan: The Ravaging of Golden Bengal". TIME. 1971-08-02. Retrieved 2011-03-28. ↑ Black, Conrad (2007), p. 756. ↑ Gandhi, Sajit (December 16, 2002). "The Tilt: The U.S. and the South Asian Crisis of 1971". National Security Archive Electronic Briefing Book No. 79. National Security Archive. Retrieved January 15, 2009. ↑ Garthoff R.L, B.M, R.L B.M (1994). Detente and Confrontation: American-Soviet Relations from Nixon to Reagan. Transaction Publishers. pp. 297–312. ISBN 0-8157-3042-X. ↑ Blechman, B.M. ; Kaplan, S.S. (1978). Force Without War: U.S. Armed Forces as a Political Instrument. Brookings Institution Press. ISBN 0-8157-0985-4. .
1 2 3 U.S. Government. "Nixon/Kissinger Saw India as "Soviet Stooge" in 1971 South Asia Crisis". CIA Documentation Center (1971). U.S. Government, 1971 archives. Retrieved 2 March 2012. 1 2 3 4 Khan, Feroz Hassan (November 22, 2012). "The Route to Nuclear Ambition". Eating grass : the making of the Pakistani bomb (google book). Stanford, California: Stanford University Press. pp. 119–120. ISBN 978-0-8047-7601-1 . Retrieved 9 January 2013. ↑ "The Road to September 11". Evan Thomas. Newsweek. 1 October 2001. 1 2 3 4 5 NTI. "Nuclear policy of Nawaz Sharif". NTI. NTI Publications on 1990. Archived from the original on 8 November 2010. Retrieved 2 December 2011. 1 2 3 Our Staff Correspondent. "Pakistan against forces of extremism: PM". DAWNWIRESERIVCE, APRIL 1995. Retrieved 18 November 2011. 1 2 Malick, Nasir Malick (May 10, 1998). "Benazir vows to fight on people's side". DawnWireService (DWS). Retrieved 17 November 2011. ↑ Panhwar, Member of Sindh Provincial Assembly., Sani (April 5, 1979). "CIA Sent Bhutto to the Gallows". The New York Times. sixhour.com. Archived from the original on January 14, 2012. Retrieved August 23, 2011. "I [Ramsey Clark] do not believe in conspiracy theories in general, but the similarities in the staging of riots in Chile (where the CIA allegedly helped overthrow President Salvadore Allande) and in Pakistan are just too close, Bhutto was removed from power in Pakistan by force on July 5, after the usual party on the 4th at the U.S. Embassy in Islamabad, with U.S. approval, if not more, by General Zia-ul-Haq. Bhutto was falsely accused and brutalized for months during proceedings that corrupted the Judiciary of Pakistan before being murdered, then hanged. As Americans, we must ask ourselves this: Is it possible that a rational military leader under the circumstances in Pakistan could have overthrown a constitutional government, without at least the tacit approval of the United States?". 1 2 Shaheen Sehbai (25 September 1999). "Benazir says Nawaz to go by December". DawnWire Service. Retrieved 19 November 2011. ↑ "Background note: Pakistan". US Department of State. 1 2 3 4 5 6 7 8 9 Munawar, Harris (14 July 2011). "What has America done for Pakistan?". Dawn Newspapers. Retrieved 15 February 2012. 1 2 3 History Commons. "History: U.S. recognition of secret nuclear power, Pakistan". History commons. Retrieved 15 February 2012. ↑ Staff (August 29, 1998). "Pakistan may sign CTBT if curbs lifted". Dawn Archives, 1998. Retrieved 12 December 2012. ↑ "President Announces New Measures to Counter the Threat of WMD"\, address by President George W. Bush at the National Defense University, 11 February 2004. ↑ Pakistan feels heat from nuclear powers over talks block, Agence France-Presse, August 21, 2009. ↑ Khan, Iftikhar A. "World must accept Pakistan as nuclear power: Gen Majid". Dawn Archives, 2010. Retrieved 3 December 2012. ↑ Officials reports (June 18, 2010). "Pakistan a Responsible Nuclear Power, Official Asserts". NPT News Directorate. Retrieved 3 December 2012. ↑ "Pak, US officials hold talks on 'non-proliferation challenges". The Week. 10 December 2012. Retrieved 12 December 2012. ↑ "Rice: U.S. will support Pakistan". CNN. Oct 12, 2005. Retrieved May 20, 2010. ↑ "US and Pakistan, Not Allies But Enemies". Theworldreporter.com. 2010-10-02. 1 2 "Obama seeks boost in Pakistan aid". Reuters. February 1, 2010. ↑ Feller, Ben (July 28, 2008). "Bush hails Pakistan as strong ally". Fox News. ↑ "US boosts strategic ties with Pakistan". Financial Times. 2010-03-24. Retrieved 2011-03-17. ↑ Walsh, Declan (February 27, 2008). "Up to 70% of US aid to Pakistan 'misspent'". The Guardian. London. Retrieved May 20, 2010. ↑ Rohde, David; Gall, Carlotta; Schmitt, Eric; Sanger, David E. (December 24, 2007). "U.S. Officials See Waste in Billions Sent to Pakistan". The New York Times. Retrieved May 20, 2010. ↑ Peters, Justin (2007-12-24). "Foreign Aid Betrayed". Slate. ↑ Rohde, David; Carlotta Gall; Eric Schmitt; David E. Sanger (2007-12-24). "U.S. Officials See Waste in Billions Sent to Pakistan". The New York Times. ↑ "U.S. to channel more aid via Pakistan government". Reuters. April 14, 2010. ↑ Upadhyay, Brajesh (May 16, 2008). "U.S. aid 'failing to reach target'". BBC News. Retrieved May 20, 2010. ↑ Reuters. "Thousands protest at US consulate against attack". Dawn. Retrieved 2 April 2016. ↑ "Daily Press Briefing – July 27, 2011". U.S. Department of State. Retrieved 2 April 2016. 1 2 "Musharraf admits U.S. aid diverted". BBC News. September 14, 2009. Retrieved May 20, 2010. ↑ CJ: Mineguruji (2009-11-21). "US unaware of any diversion of military aid to Pak". Merinews.com. Retrieved 2011-03-17. ↑ "Pakistan mourns bomb victims". Al Jazeera English. 2009-10-29. Retrieved 2011-03-17. ↑ "Obama seeks $3.1 billion aid for Pakistan to defeat Al Qaeda". Sify.com. 2010-02-02. Retrieved 2011-03-17. 1 2 "Associated Press Of Pakistan ( Pakistan's Premier NEWS Agency ) – United States committed to partnership with Pakistan: Anne Patterson". App.com.pk. Archived from the original on 2011-09-17. Retrieved 2011-03-17. ↑ "Pakistan snubs U.S. over militants". BBC News. January 21, 2010. Retrieved May 20, 2010. ↑ "U.S. praises Pakistani military efforts". UPI.com. 2009-11-18. Retrieved 2011-03-17. ↑ "Pakistan got $18bn aid from U.S. since 2001". The Times Of India. February 23, 2010. ↑ Holland, Steve (February 17, 2010). "White House hails capture of Taliban leader". Reuters. ↑ "U.S. sees improved relations with Pakistan". CNN. March 15, 2010. Retrieved May 20, 2010. ↑ "AFP: U.S., Pakistan to host talks on economy, security next week". Google.com. AFP. 2010-03-17. Retrieved 2011-03-17. ↑ Maqbool, Aleem (31 December 2011). "2011: New low for US-Pakistan relations". BBC. Retrieved 18 July 2016. 1 2 Zakaria, Rafiq (2002). The man who divided India : an insight into Jinnah's leadership and its aftermath (2nd repr. ed.). Mumbai: Popular Prakashan. ISBN 978-8-1715-4892-7. 1 2 "Ties between U.S. and Pakistan suspended". ↑ "The United States Embassy". Archived from the original on 2008-12-21. Retrieved 2008-12-21. ↑ "CIA says Bin Laden is in Pakistan, CBS News/AP, 2009-06-11". Cbsnews.com. 2009-06-11. Retrieved 2011-03-17. ↑ "Pakistan and Taliban, Brothers or Rivals?". Theworldreporter.com. 2010-09-14. ↑ "Pakistan 'backed Haqqani attack on Kabul' – Mike Mullen". BBC News. 2011-09-22. ↑ Reuters Editorial (22 September 2011). "U.S. blames Pakistan agency in Kabul attack". Reuters. Retrieved 2 April 2016. ↑ "Pakistani PM calls back FM over U.S. charge" . Retrieved 2 April 2016. ↑ "Pakistan wants more fire, but China has commitment issues". dna. 28 September 2011. Retrieved 2 April 2016. ↑ Karen DeYoung (20 September 2011). "U.S. sharpens warning to Pakistan". Washington Post. Retrieved 2 April 2016. ↑ "Pak will retaliate to any US misadventure: Report". IBNLive. Retrieved 2 April 2016. ↑ Greg Miller (May 5, 2011). "CIA spied on bin Laden from safe house". The Washington Post . Retrieved May 6, 2011. ↑ Cooper, Helene (May 1, 2011). "Obama Announces Killing of Osama bin Laden". The New York Times . Archived from the original on May 2, 2011. Retrieved May 1, 2011. ↑ Philip Sherwell (May 7, 2011). "Osama bin Laden killed: Behind the scenes of the deadly raid". The Daily Telegraph . London. Retrieved May 9, 2011. ↑ Dilanian, Ken (May 2, 2011). "CIA led U.S. special forces mission against Osama bin Laden". Los Angeles Times. Retrieved May 14, 2011. ↑ "Osama Bin Laden, al-Qaeda leader, dead – Barack Obama". BBC News. May 2, 2011. Retrieved May 2, 2011. ↑ "Osama bin Laden killed in Pakistan, says Obama". Dawn . May 2, 2011. Archived from the original on May 3, 2011. Retrieved May 2, 2011. ↑ Perlez, Jane (May 5, 2011). "Pakistani Army Chief Warns U.S. on Another Raid". The New York Times. Retrieved May 5, 2011. ↑ "Bin Laden operation conducted by U.S. forces: Pakistan". Dawn . May 2, 2011. Archived from the original on May 3, 2011. Retrieved May 2, 2011. 1 2 Rodriguez, Alex (May 2, 2011). "Suspicions grow over whether Pakistan aided Osama bin Laden". Los Angeles Times. Retrieved May 2, 2011. ↑ Zardari, Asif Ali (May 3, 2011). "Pakistan did its part". The Washington Post . Retrieved May 3, 2011. ↑ Wright, Tom (May 5, 2011). "Pakistan Rejects U.S. Criticism". The Wall Street Journal . Retrieved May 5, 2011. ↑ Solomon, Jay; Laura Meckler; Tom Wright; Zahid Hussain (May 2, 2011). "Pakistan's bin Laden Connection Is Probed". The Wall Street Journal . Retrieved May 3, 2011. 1 2 "Did Pakistan Army shelter Osama?". The Indian Express. May 2, 2011. Retrieved May 2, 2011. ↑ "Obama kept Pakistan in dark about Osama attack". News One. Archived from the original on May 23, 2012. Retrieved May 13, 2011. ↑ "Did Pakistan know of U.S. raid to kill Osama?". Mid Day. May 2, 2011. ↑ Ross, Tim (May 2, 2011). "WikiLeaks: Osama bin Laden 'protected' by Pakistani security". The Daily Telegraph. UK. Retrieved May 2, 2011. ↑ Calabresi, Massimo (May 3, 2011). "CIA Chief Breaks Silence: Pakistan Would Have Jeopardized bin Laden Raid, 'Impressive' Intel Captured". TIME. Retrieved May 3, 2011. ↑ "Clinton: Pakistan helped lead U.S. to bin Laden". Forbes. Associated Press. May 2, 2011. Retrieved May 2, 2011. ↑ Walsh, Nick Paton (May 2, 2011). "Official: Pakistan had but didn't probe data that helped make raid". Islamabad, Pakistan: CNN. Retrieved May 2, 2011. ↑ MacAskill, Ewen; Walsh, Declan (May 2, 2011). "Osama bin Laden: Dead, but how did he hide so long?". The Guardian. London. Retrieved May 2, 2011. ↑ Shah, Saeed (14 July 2011). "CIA's fake vaccination programme criticised by Médecins Sans Frontières". The Guardian. ↑ Leiby, Richard; Finn, Peter (May 24, 2012). "Pakistani doctor who helped CIA hunt for bin Laden sentenced to prison for treason". Washington Post. Retrieved May 24, 2012. ↑ "US Senate docks Pakistan $1m for each year of Shakil Afridi's sentence". The Express Tribune. 24 May 2012. Retrieved 2 April 2016. 1 2 "US, Pakistan remain wary but relations improve". The Washington Times. Retrieved 2 April 2016. ↑ "U.S. hands Pakistan senior militant detained in Afghanistan". Daily Mail . Reuters. 7 December 2014. Retrieved 2 April 2015. ↑ Jon Boone. "FBI investigation into ex-US diplomat casts cloud over relations with Pakistan". The Guardian. Retrieved 2 April 2016. ↑ "Relations Between Pakistan, Afghanistan Key to Fighting Taliban". VOA. Retrieved 2 April 2016. ↑ "US arms Pakistan with combat aircraft, trainer jets". 6 May 2015. Retrieved 2 April 2016. ↑ "US budget 2016–17: Obama proposes $860m aid for Pakistan". The Express Tribune. Retrieved 2016-02-11. ↑ "US cannot be silent on Pakistan's safe havens for terrorist groups: Trump". Malayala Manorama . 22 August 2017. Retrieved 6 November 2017. ↑ Constable, Pamela (22 August 2017). "World In Afghanistan, Trump's speech brings relief to some. To others, 'it means more war, destruction'". Washington Post . Retrieved 6 November 2017. ↑ Constable, Pamela (29 August 2017). "Trump's new Afghanistan policy has Pakistan angry and alarmed". Washington Post . Retrieved 6 November 2017. ↑ "Pakistan – Visits by Foreign Leaders – Department History – Office of the Historian" . Retrieved 2 April 2016. ↑ "Pakistan – Travels of the President – Travels – Department History – Office of the Historian" . Retrieved 2 April 2016. ↑ "U.S. withholds $800 million in aid to Pakistan: White House". Reuters. July 10, 2011. ↑ "Imran 'Rhetoric' Khan lashes out at Zardari, US...again :: News :: Support Imran Khan". Archived from the original on 14 April 2016. Retrieved 2 April 2016. ↑ Singhania, Pranav (2 July 2016). "Treat Pakistan as second North Korea if it doesn't mend ways: Ex-US envoy". The Economic Times . New Delh. Retrieved 2 July 2016. ↑ "US suspends $2 billion military aid to Pakistan over terror inaction". The Economic Times . New Delh. 6 Jan 2018. Retrieved 6 Jan 2018. ↑ Brulliard, Nicolas (July 26, 2011). "American fast food on the menu in Pakistan". The Washington Post. ↑ "The rise of Pakistan's 'burger' generation". Al Jazeera. Retrieved 2016-02-11. Buck, Brandan P. "Brokering a Buffer State: Afghan Neutrality and American Diplomacy, 1973–1979." International History Review (2018): 1-20. Hilali, A. Z. US-Pakistan relationship: Soviet invasion of Afghanistan (Routledge, 2017). Thomas Powers, "The War without End" (review of Steve Coll, Directorate S: The CIA and America's Secret Wars in Afghanistan and Pakistan, Penguin, 2018, 757 pp. ), The New York Review of Books , vol. LXV, no. 7 (19 April 2018), pp. 42–43.